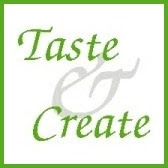 Taste and Create was started as a food event by Nicole from For the Love of Food. The whole purpose of Taste and Create was, and has been, and continues to be to create a community of bloggers who test each others’ recipes and share links. The participants of the event are paired together and try a new recipe from one another’s blog. This month I was paired with Jennifer from FOR SUCH A TIME AS THIS. I love being paired with someone I’ve never been paired with before I inevitably learn sooooooo much, and find great new recipes. I chose her TACO SEASONING recipe. I chose it because I too am always looking for the perfect homemade seasonings. 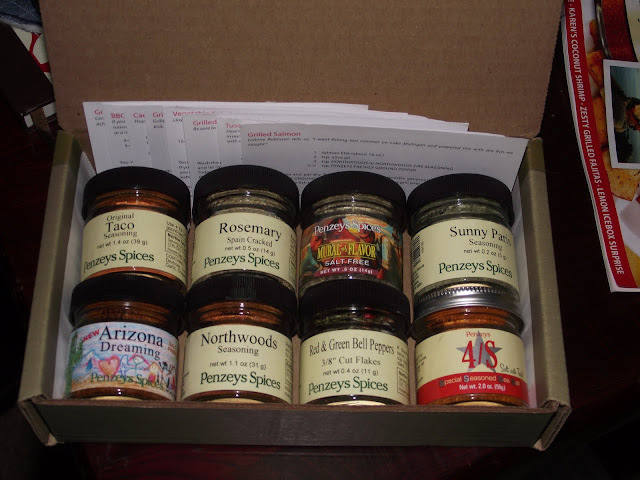 She’s right it works great for chicken, beef, pork–whatever you are trying to spice up for Mexican night! I’m ditching my old go to recipe and using this from now on! Mix all the dry ingredients together and use with your taco meat. Pour the water in the pan and cook just like you would for tacos. The amount above is the same amount that is in one packet of taco seasoning mix at the store. Belated birthday present for little bro from my favorite spice company. Yesterday while I was volunteering at my local Christian ministry my friend tossed me a brand new box of this Achiote Paste and said “here, you’re the cook – figure out what to do with this”. I was intrigued and set out to do just that. Now that I know what it is, I’ll search out some recipes to go with it. 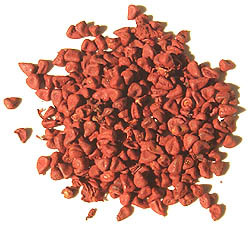 Commonly known as annatto seed in the States, the correct term for the seeds of an annatto tree is achiote seeds. Native to South America, they have been used to color food and cosmetics. These seeds have a peppermint scent and a slightly peppery taste with just a hint of bitterness. This seed grows on the annato tree. It is used primarily in Mexican and Caribbean cooking to impart a rich yellow/orange color. Annato seed makes a good substitute for saffron’s golden coloring, at a fraction of the cost. It does NOT, however, duplicate saffron’s unique flavor! The seeds can be ground and added to soups and stews or made into a paste to be spread on fish or pork before grilling. It’s a tough process to work with annatto, as the dried seeds are very hard and quite difficult to grind. Cover seeds with water and bring to a boil. Simmer over moderate heat for 3 minuts. Remove from heat and let stand for a couple of hours. Drain and pat dry using a paper towel so as to not stain a clothe one. Transfer to a mortar and pestle or spice grinder and grind to a paste. Annatto seeds have been used as a dye for fabrics and body paint since pre-Columbian times. Strain the annatto oil into the bowl of a food processor or blender, and add the lime juice, oregano, garlic, salt and cumin. Process the mixture on high to form a smooth paste. Pour into a glass jar and keep covered in the refrigerator until ready to use. This sauce is a key ingredient in our Guatemalan Tamales, but it is also a flavorful liquid to use when poaching scallops, fish, or eggs. Melt the butter in a medium saucepan over medium-low heat. Cook the onions until soft and translucent, 12 to 15 minutes. Stir in the garlic and tomato and achiote pastes and cook an additional 3 to 5 minutes, stirring frequently. Add the chicken stock, salt and black pepper. Bring to a boil, reduce to a simmer and cook, stirring and skimming frequently, 12 to 15 minutes. Add the vinegar and cook for a final 2 to 3 minutes. Puree in a blender or food processor. Store in the refrigerator 2 to 3 days. 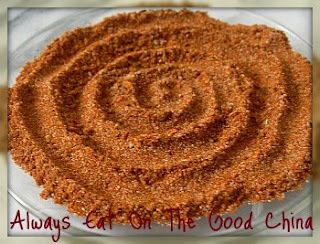 * Achiote paste is a bright orange seasoning paste from the Yucatan made of ground annatto seeds, oregano, cumin, cinnamon, pepper and cloves. It is often thinned with vinegar or citrus juices for marinades and sauces and should always be cooked first to remove any chalkiness. This is what produces the bright orange color often found in Mexican food, so be sure to wash off any utensils that touch it or they just might remain orange. The paste is sold in bricks and can be kept well wrapped in the refrigerator for a long time. Need a gift for the cook in your life? Consider giving a nice collection of Salt. 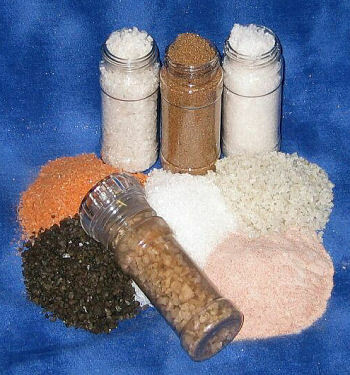 There are numerous different varieties of salt and each contributes a different flavor to a dish. The variances are subtle but they are there and to an educated palate the differences can be quite strikinG. On the list of salt that you can choose to use in your recipes iodized table salt should be the last edible choice, not the first. The additives and iodine change the flavor and make it harsh and bitter. What should you use? There are other trace minerals in sea salt as well. Sea salt has a delicate flavor and makes a good all purpose table salt. It normally comes in three grinds, from fine to course. with a little olive oil, or sprinkled on to meat just before serving. Although Himalayan Pink salt is harvested from the foothills of the Himalaya Mountains it is technically a sea salt. It is a marine fossil salt formed eons ago. It carries numerous trace minerals and is a delicious and beautiful finishing salt. When it comes to grilling and fire roasting, sometimes being “less refined” is better. I like to use much more coarse ingredients in my rubs. I just think that the more intense heat of live fire cooking brings out the rich flavors of chunky ingredients that ground spices just can’t deliver. 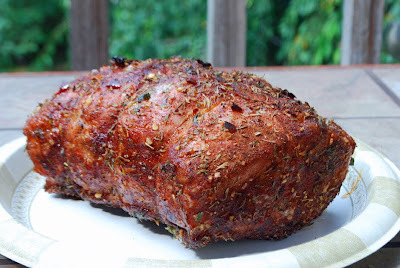 Take for example this recipe for Cajun Pork Roast from the National Pork Board. The first time I ever made this, I just used powdered spices and it was very good. But since then, I began to adjust it using coarser ingredients. The slight adjustments make a much heartier and more flavorful dish. And amplifies the flavors of the final dish. So the next time you are grilling out, give this tip a try. 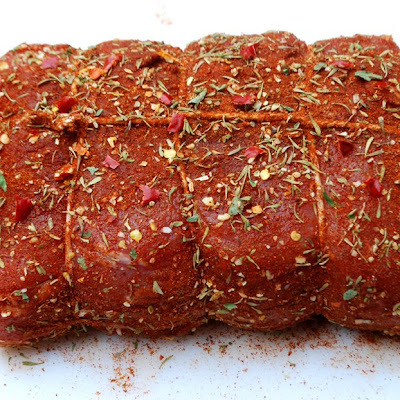 Look at your dry rub ingredients and consider how you can make them “chunkier”. I think you’ll be glad you did. 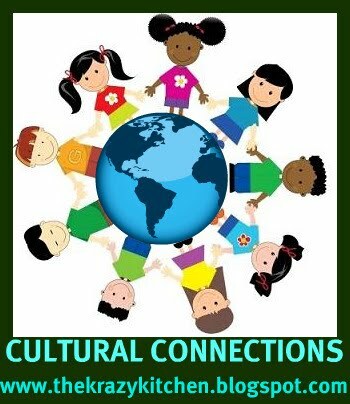 Welcome once again to my version of Cultural Connections. 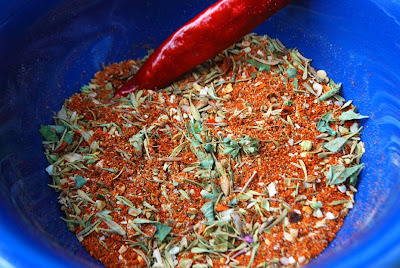 Today I have for you an Egyptian spice blend, Dukkah, pronounced DOO-ka, or Doo-hah, with kind of a hard H stuck in your throat sound. No matter how you say it…it’s good! Heat a heavy skillet over med heat, add the nuts, and dry-toast until slightly browned and fragrant, being careful that they don’t burn. Remove from the heat and cool completely. Repeat the procedure with each of the seeds and the peppercorns. Allow each of them to cool completely. Store in an airtight container in a cool place for up to 1 month. Or freeze. I love having this on hand in the freezer, then you can pull it out anytime you need a quick coating for chicken or pork, or just sprinkle over a salad! 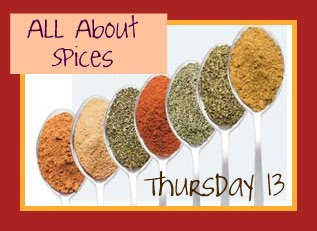 #Spice ~ Any of various pungent, aromatic plant substances, such as cinnamon or nutmeg, used to flavor foods or beverages. Something that adds zest or flavor. A pungent aroma; a perfume. #Herb ~ A plant whose stem does not produce woody, persistent tissue and generally dies back at the end of each growing season. Any of various often aromatic plants used especially in medicine or as seasoning. #Saffron is the world’s most expensive spice. More than 80,000 stigmas have to be harvested by hand to yield just 500 grams. #Cinnamon originates from Sri Lanka. 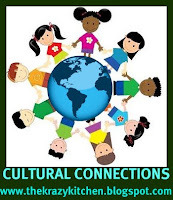 # Sesame originates from Africa. # Basil is a herb, not a spice. # Dandelion is a natural diuretic. # Dill water is good for Colic. # Dill is a spice and a herb. # While mustard is quite pungent in flavor, it has virtually no aroma. # Curry is not “A” spice, but a collection of spices. # Sage Tea is an effective antidote for a sore throat. # Thyme, Sage, Basil and Pepper were once used as food preservatives before refrigeration because of their anti-bacterial properties. Thank you Janet and Megan for resurrecting it! Originally from the tropics, pepper is a berry from the vine Piper Nigrum. There are many types of peppers grown all over the world. Most of the flavor is lost during cooking. Pepper should be added after cooking. Pepper stimulates gastric juices and stimulates digestive processes. 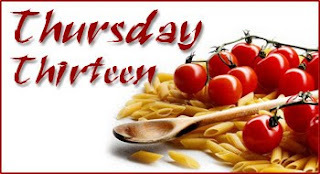 Brings out and strengthens the inherent flavor of food. Black and white pepper come from the same vine. When first harvested the berries are red, odorless and tasteless. When dried in the sun they become black and spicy. White pepper is made from berries allowed to ripen longer and the berries are soaked (fermented) to remove the outer coating. White pepper is less spicy than black pepper. It is best to buy whole peppercorns and grind them as needed. Commercial ground pepper is made from a mixture of various peppers. 13 things to know about SALT! Sat is NOT a spice. Salt is NOT an herb. Salt is NOT a seasoning. Salt is contained naturally in most foods. Salt unites the flavors of herbs and seasonings together until they come alive. Salt does not actually flavor our food. Salt increases the flow of saliva. Salt opens the taste buds. Salt releases the juices in foods. Spice up your life and a place to put them! This is an old dentist equipment cabinet. It has been in my family for many years now. First my mom had it as well as another one. When she moved to a smaller place she gave my brother and I each one. I used mine for awhile in a bathroom and then eventually as a candle cabinet to store all my goodies. My brother then went through a simplification stage and downsized just about everything so I inherited the second one also. I decided to turn mine into a spice cabinet for the kitchen. It is where I store just about everything from croutons and bread crumbs to flavorings and bouillon. The bottom cabinet works well to store ziploc bags, extra foil and plastic wrap. I even have the original glass shelves, lock, keys and wheels. I do of course have the day to day spices closer to the stove and cooking are. I can’t function without everything organized and handy too!